The Alvita Nebulizer T2000 is an aerosol therapy device used for the treatment of conditions including bronchitis and asthma, allowing patients to administer medicines prescribed by their doctor in aerosolized form. 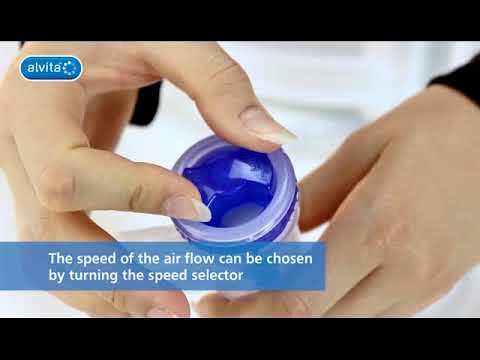 It produces... aerosol droplets that are within the EU Regulations; small size particles which are able to reach deep into the lungs where the drug will be most effective. Fast, effective and efficient, the T2000 has a long average lifespan of 2000 hours' use, and includes a convenient carry handle for easy portability. For full information about the T2000, see the video tutorials. Download the product leaflet for this Nebuliser T2000.